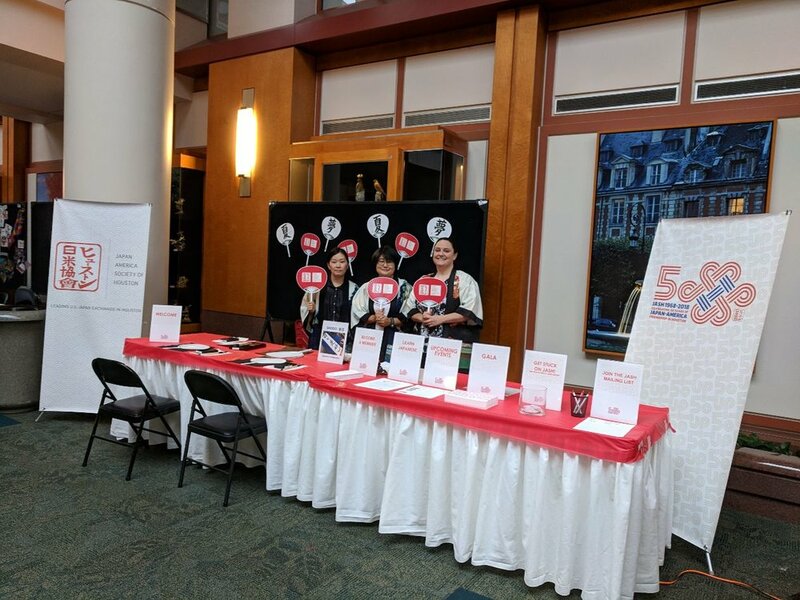 On August 16, 2018, JASH joined The University of Texas MD Anderson Cancer Center in highlighting the beauty of MD Anderson's diversity at its annual Diversity Celebration. JASH was invited to reprise our role as the representative of Japan and provide participants with the opportunity to try their hand at shodo - Japanese calligraphy. Nearly 150 patients and staff took part and walked away with a personalized JASH uchiwa fan. Diversity is not only MD Anderson's strength, it is the strength of Houston! Thank you, MD Anderson, for featuring JAPAN in a special "Fusion of Inclusion."